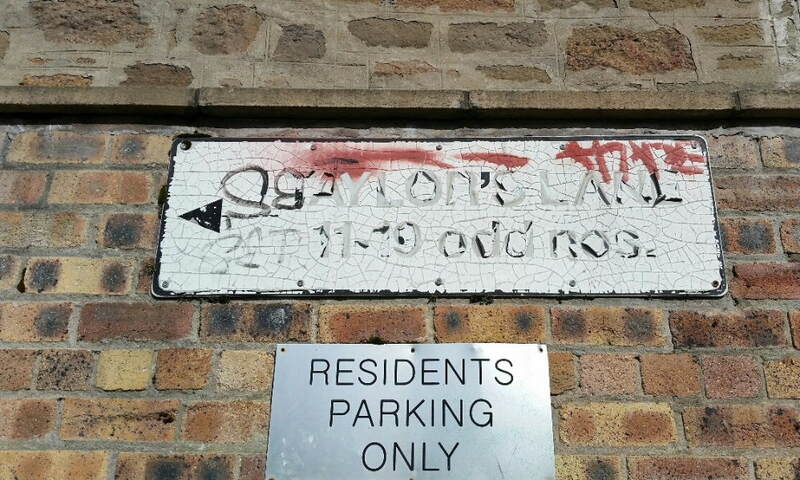 Residents have complained to me that the directional sign to the housing at the very north end of Taylor’s Lane is badly worn – see right. Last month, I attempted, at the City Council’s Development Management Committee, to stop ugly BT Openreach ‘utility’ boxes being placed at three sites in Conservation Areas in the West End. Tonight, at this month’s committee, I moved refusal of two more of these unsightly boxes being placed near Blackness Primary School and in Taylor’s Lane. The residents in Taylor’s Lane near to the site of one of these boxes are very unhappy about this being placed adjacent to their homes, but unfortunately I lost the vote 16-8. I again make the point that BT Openreach should provide appropriate and sympathetically designed utility boxes in Conservation Areas, rather than saddling the community with large, ugly and unsightly boxes. 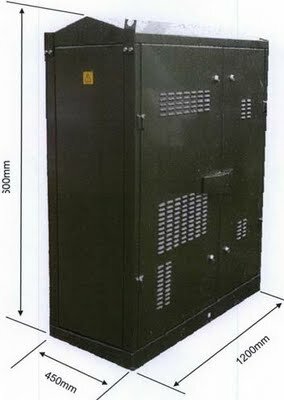 I am sure no-one is against improving the broadband services that these boxes service, but housing the equipment in these ugly boxes is a blight on our conservation areas. A bit of community concern on behalf of BT Openreach would be welcomed. I am grateful to Scottish & Southern Energy for its very prompt attention to removing offensive graffiti on the electricity sub-station at Magdalen Green that I brought to its attention towards the end of this week, following residents’ concerns. I am also grateful to the City Council for cleaning off graffiti in parts of Taylor’s Lane. I am also speaking with the Waste Management Department about getting further graffiti cleaned off flats elsewhere in the street. 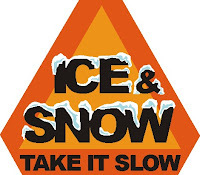 With all the snow over the past few days, the feedback from residents is that the Roads Maintenance Partnership has copied generally very well with gritting across the city. There have been issues about the gritting of some residential streets – inevitable given the 330+ miles of non-trunk roads the council has to cover – and I have raised the concerns raised by residents in a number of streets – such as Shaftesbury Road and Taylor’s Lane (in the latter case, the ‘top half’ of the southern part, possibly because of access problems facing the gritter) – and also the need to keep grit bins filled – an example being at Glamis Place. I am grateful to the City Engineer and the team in the Roads Maintenance Partnership for their responsiveness on the issues raised. Yesterday, along with an officer from the City Council’s City Development Department, I met with residents in Taylor’s Lane regarding their concerns about access in the street, where difficulties causing by some parked cars resulted in the road being physically blocked recently. There’s a balance to be struck in a street like Taylor’s Lane between ensuring clear access and not losing valuable parking spaces in an area of high parking demand. I am pleased to say that we had a very constructive meeting and a minor revision to the waiting restrictions on the west side, south of the junction with Patrick Place will be proposed and – in due course – will be subject to public consultation. 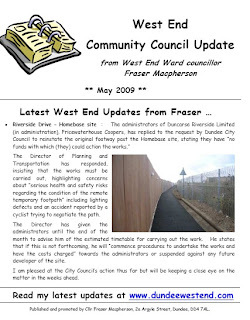 I have today launched my May 2009 update to West End Community Council. The Community Council meets next Tuesday (12th May) at 7pm in Logie St John’s (Cross) Church Hall. 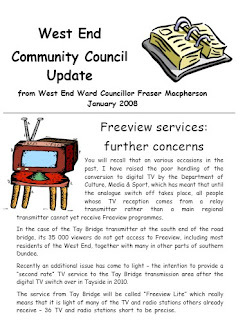 I have today launched my January 2008 update to West End Community Council. To read it simply follow the link by clicking on the headline above. Issues covered include Freeview “lite” concerns in the West End, footpaths in Hawkhill, “No Through Road” signage required for Lytton Street and Gowrie Street, and parking issues in Taylor’s Lane. The Community Council meets next Tuesday (8th January) at 7pm in Logie St John’s (Cross) Church Hall.